I recently had the pleasure of trying a collection from the DESSANGE Paris line. 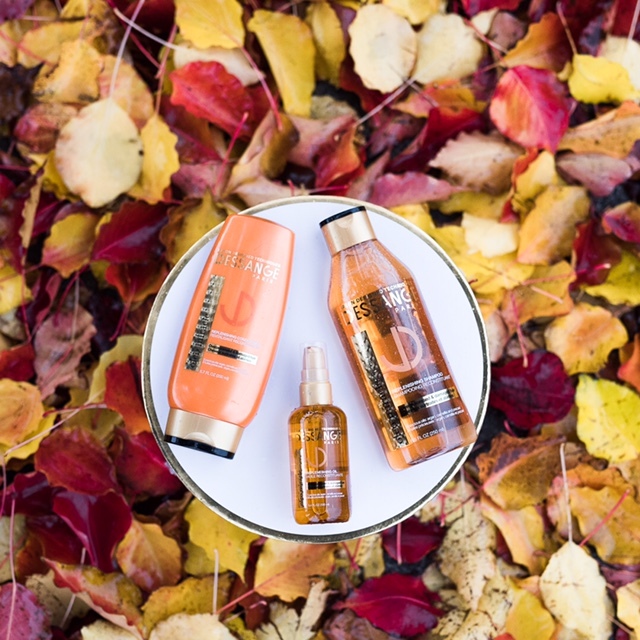 I went with the Oleo Miracle Collection which includes shampoo, conditioner and miracle replenishing oil. These products typically range from $7-$11 at Target, so they are very much affordable, yet known as a French luxury. My hair is usually very dry and a little damaged since I straighten it often so these were the perfect products for me. After using it a couple times I noticed my hair was silky and softer, which is exactly what I am looking for. I really want something to repair the damage I’ve done to my hair and I notice a difference now! The oil is great too because its not too thick and creates that shiny finishing look! The smell is great too! I’ve teamed up with DESSANGE Paris to give one of you lucky readers the same package and I hope it proves just as amazing for you! All you have to do is follow the instructions below. 3. Comment on the Instagram contest photo with your holiday wish. *The winner will be announced Friday December 16th at 7pm est. *Only open to US entries.